Smart implants, high-performance prosthetics, and other wearable cutting-edge technological devices etc - how will they expand the limits of current human capabilities, resulting in a highly efficient workforce that is decidedly Superhuman Technology? Is this embrace of technology essential for every business? How can we use tech to improve the day-to-day for every employee? How can we use tech to improve employee performance and help us stay competitive? And what are the ethical implications for their use? Examine the trends and technologies that will shape tomorrow’s workplace in this research undertaken by PageGroup, in partnership with trends forecasters Future Foundation. 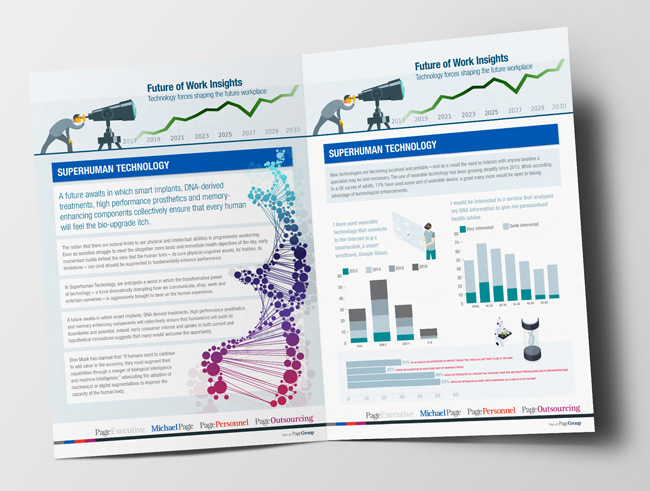 For exclusive access, fill out the form below to download Superhuman Technology, as well as to receive regular updates on Future of Work trending topics.